Pink tourmaline is a pink to deep-red colored gemstone, which is a crystalline boron silicate mineral compounded with aluminum, iron, magnesium, sodium, lithium or potassium. It is a semi-precious stone that forms in a variety of colors and has been used by many throughout history. Pink tourmaline has several special features that have attracted scientists for centuries, dating all the way back to ancient times. More than 2,300 years ago, a philosopher named Theophrastus wrote that "lyngourion" – assumed to be the mineral tourmaline – had the unique quality of magnetizing straw and wood. This effect, known as pyroelectricity, happens when the crystal is heated, generating a positive charge at one end of the stone and a negative charge at the other. It is thus able to attract materials to it that are light in weight. 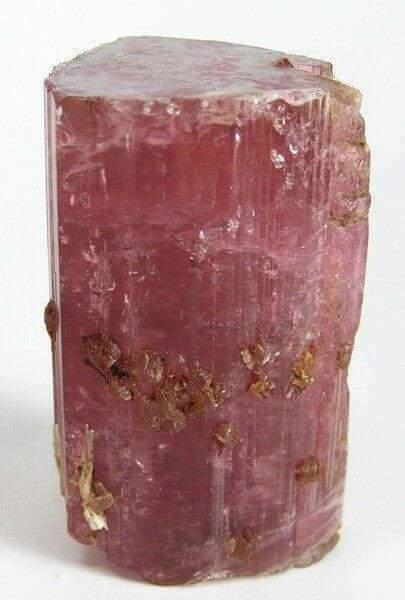 Tourmaline was then known by the Dutch as “asshentrekers”, or “ash drawers”, during the eighteenth century, and was used often in pressure-measuring equipment and for other scientific purposes. The Chinese used the gem to carve stunning snuff bottles from it. 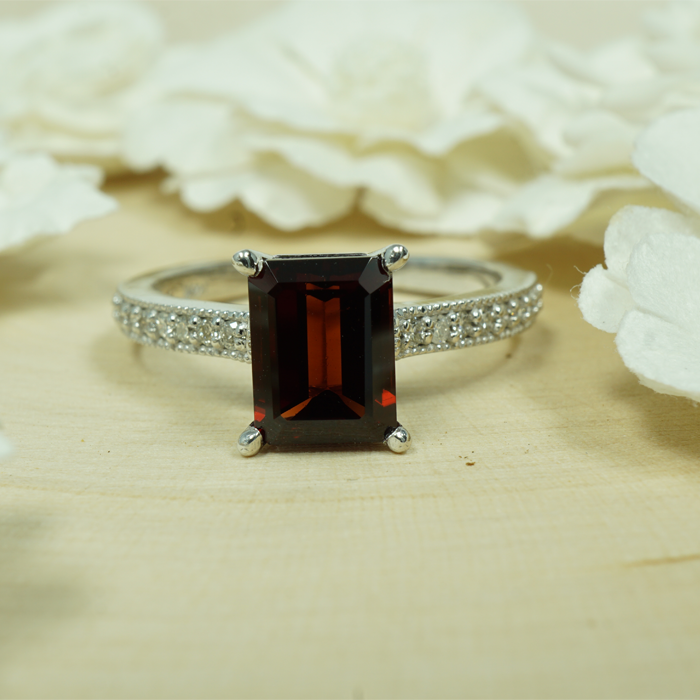 In Africa, the gemstone was believed to rouse a person from illusion in dreams. India regarded it as a gem that brought insight and positive energy. Currently, African, Native American and other indigenous people around the world still use this gem for security, shielding life’s many dangers. The gemstone also became very popular in terms of jewelry after mineralogist and jeweler George Kunz sold a green tourmaline from Maine to the esteemed Tiffany and Co. in New York in 1876. It was also used while manufacturing pressure-sensitive gauges for submarine instrumentation, in addition to other equipment used for war. Pieces of the gem were even used in pressure gauges that measured the power of the first atomic bomb. Today, it has become metaphysical collectors’ and practitioners’ choice of stone for its many different energy properties. Its value varies drastically between types of tourmaline. Tourmaline is part of a family of aluminum borosilicates combined with iron, magnesium, and other metals that, contingent with the sizes of its components, can be red, pink, yellow, brown, black, green, blue or violet in color. The gem is doubly refractive and its cleavage is flawless on the basal plane, chipping with irregularly shaped fractures. Its formula is (NaCa)(LI,MgFe,Al)9B3Si6(O,OH)31and has a 7 – 7.5 rating on the Mohs scale of mineral hardness. Its crystal structure is trigonal, and the gem’s prismatic, vertically striated crystals can form as long and slender, or thick and columnar, and are distinctively trilateral. It has a vitreous luster, varying from transparent to opaque. An interesting fact about pink tourmaline’s structure is that it can become electrically charged when heated. Similarly, it will have the same effect if squeezed in the direction of the vertical crystal axis. Another fact is that tourmaline is identified by its unique three-sided prisms – a quality that no other common mineral has. Because it is high in lithium, it is also believed to help with many emotional and mood-related problems.